No ethnic wardrobe is complete without this A-line kurta from Rangriti. 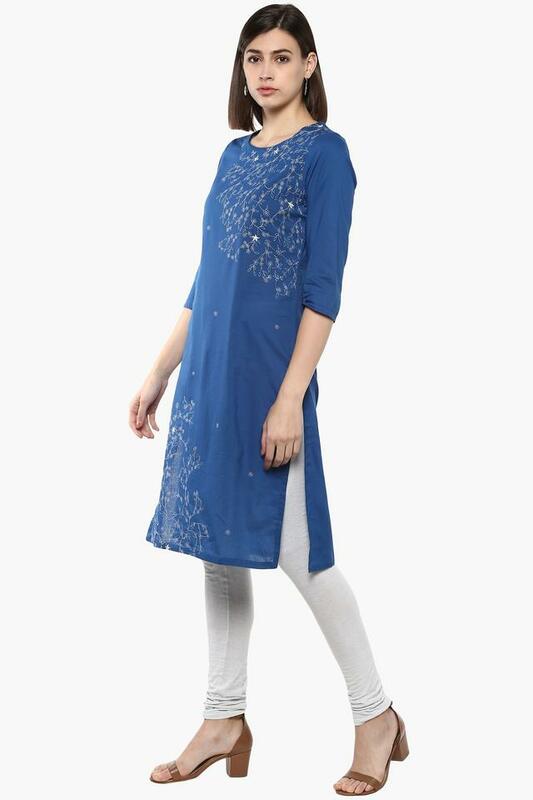 It is crafted from good quality good quality fabric that ensures you stay comfortable throughout the day. Moreover, it features a round neck, three quarter sleeves and embroidered pattern which gives it a glamorous look. 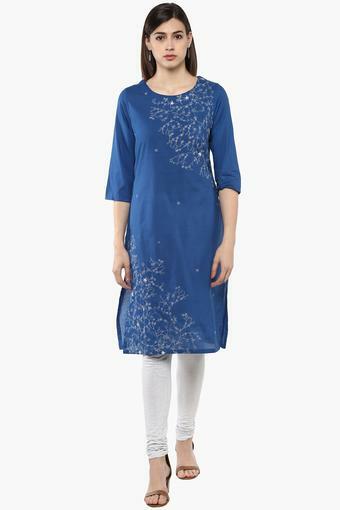 Opt for feminine finesse in your ethnic line-up with this A-line kurta. You can team it with pair of leggings and heels.